Looking for a guard for clocks. Ideal for Factories, Schools, Sporting Arenas, any any area you need to protect a clock or similar item such as a security alarm or lighting. Constructed with 11 gauge steel wire resistance welded. 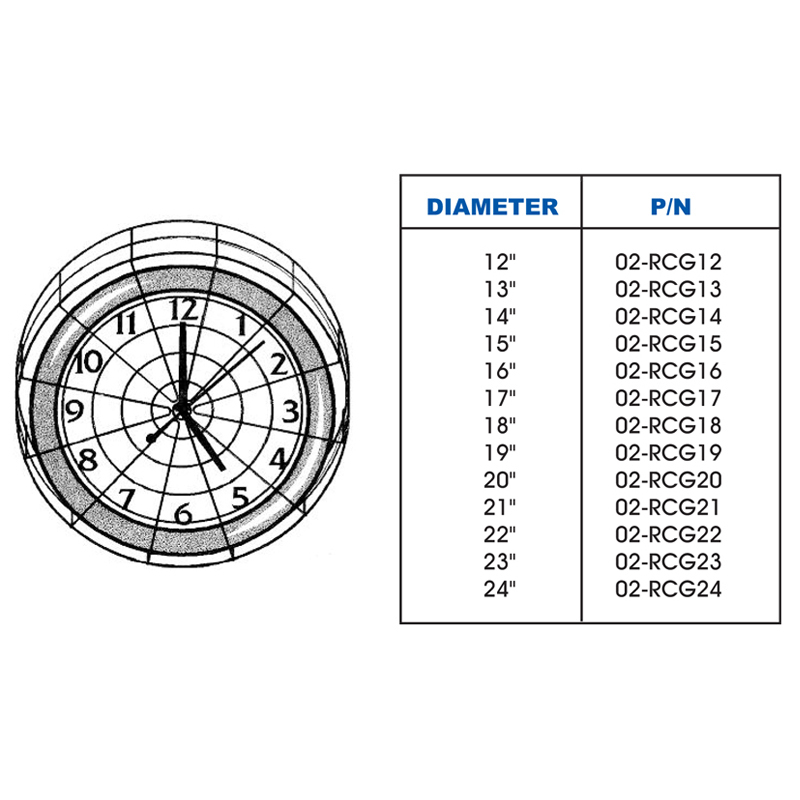 Standard sizes range from 12″ to 24″ diameter in 1″ increments. The standard guard depth is 4″ to allow clearance for clocks with up to a 3″ depth. Can be used to cover other circular items. Hinge clips are supplied for easy surface mounting. Available in powder coated epoxy and polyester chrome or white finish. Custom colors are available on special order. Coating is moisture and weather resistant. Custom sizes are available on special order. Copyright © 2018 Wiremaid USA. All rights reserved.